Much emphasis is now being focused on how businesses across the UK can prevent stress and improve wellbeing in the workplace. Creating an office space in which people can flourish will boost overall wellbeing and its links to increased motivation and productivity. After all, if a workspace is designed to promote employee well-being, the business will in turn experience more significant growth. Biophilic stems from the word biophilia, meaning a ‘love of nature’, and was coined by German psychologist Erich Fromm before being popularised by American psychologist Edward O. Wilson in the 1980s. He pointed at how the rapid rise of urbanization was making us more and more disconnected from nature. It’s no secret stress-related illnesses are a significant contributor of disease, but when we think of nature, it provokes thoughts of an environment full of calmness and relaxation. Some businesses have used this to their advantage by bringing the outdoors into the office. Research into the health benefits of biophilic designs carried out by Bill Browning, the founding member of the US Green Building Council’s Board of Directors, and Sir Cary Cooper, CBE Professor of Organisational Psychology and Health at Lancaster University, found an overwhelming increase to employees’ wellbeing. Incorporating direct or indirect elements of nature into the workplace were found to reduce stress, blood pressure levels, and heart rates while increasing productivity and creativity. Furthermore, research by the Journal of Experimental Psychology found that adding just one plant per square mile in an office, employees were 15 percent more productive than those without plants in their workspace. Indoor greenery will also vastly improve air quality, which not only benefits the surrounding environment but the employees’ overall health. So, there are good reasons behemoth corporations such as Google, Apple and Amazon invest heavily in biophilic designs that nurture health, wellbeing, and productivity. 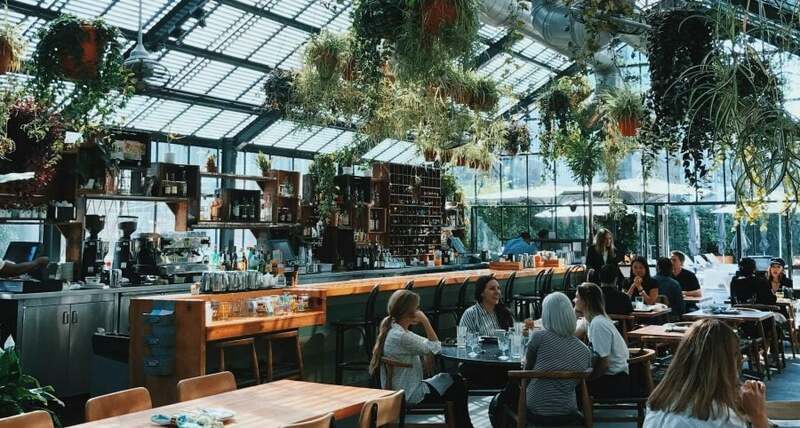 Similar to the biophilic design, eco-friendly office solutions, such as added insulation or underfloor heating for a wooden floor can be an expensive investment initially, but the significant reduction of power used in the long run can be profitable. So not only can going green help to act against climate change, but it can also save you money and be a useful marketing tool to make your brand stand out for its commitment to sustainability in the minds of both customers and prospective employees. Also, if a workspace is visually pleasing, potential employees, consumers, and investors are more likely to recognize and respect the businesses’ service. Ultimately, by enhancing spaces to reduce stress and boost overall wellbeing and safety, businesses can maximize the potential for productivity and growth. About the author: Lloyd Coldrick is the managing director at Cobus. He has been with the company for ten years and is highly experienced in creating inspiring spaces for the workplace environment.